Chris Epting columnist "In the Pipeline"
1st Vice Commander Don McIntosh invited Operation Beanies to participate in the Post 257's Memorial Day service. 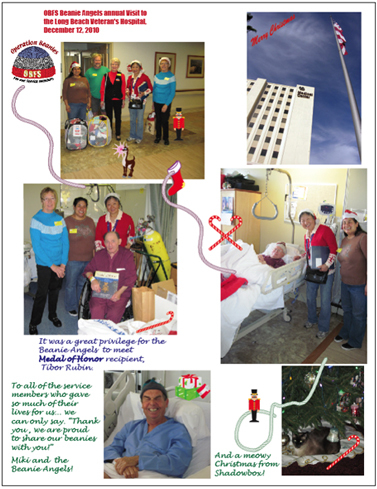 Miki brought 450 beanies which Post 257 will generously ship to our troops in Afghanistan. The service was thoughtful and well attended with standing room only. 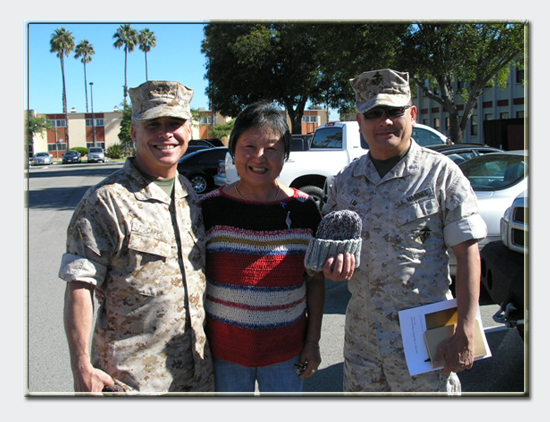 We hand delivered 1,500 beanies to Marines at Camp Pendleton. They were well received. Marines are not easy person to get show any emotions but today they seemed very happy to see our beanies. It happened to be very hot weather and temperature was over 90 degree. Yet our “Unspoilable Home Made Cookies” were the coolest gifts ever and made few to smile about.